Tim Moynihan is a pastor, veteran, sometime author and former national security consultant. 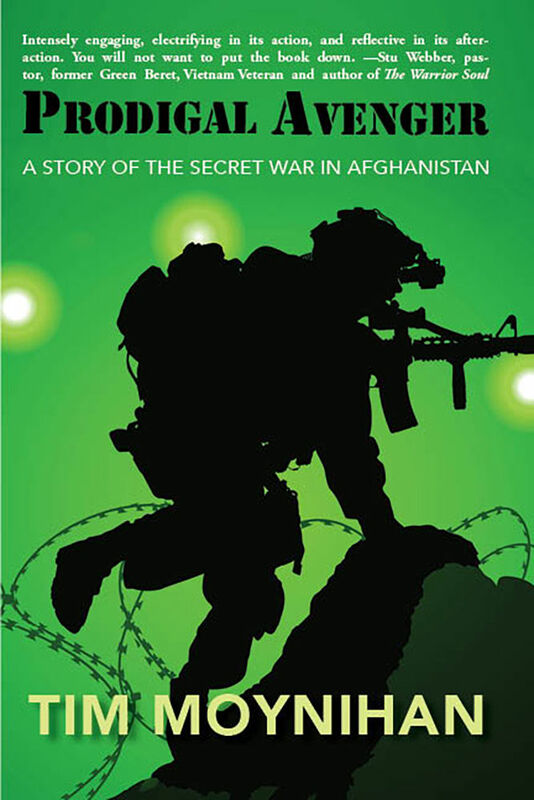 Prodigal Avenger: A Story of the Secret War in Afghanistan, published by Elk Lake Publishing, has been released! Just in time for Christmas! ​A Covert Rescue Mission No One Expects to Succeed--Who will survive? Read the author's interview here. click here for the blog, "soldiering on"
Special Forces soldier turned author, Colonel Mike Sanchez, survived the battlefields of Iraq and Afghanistan and converted his military experiences into a new career as an "inspirational" motivational speaker. But his heroic demeanor and outward confidence mask a burden he carries on the inside, the agonizing memory of two brothers with whom he served in the war. Caught off-guard at a public speaking event, Sanchez is compelled to expose the ghosts of his past and his searing memories of a bloody battle on a blasted Afghanistan hilltop where love conquered fear forever. Read the review at Christian Fiction Review Guru.